Some hamster owners around the world apart from regarding hamsters as pets, see it as an opportunity to divulge into breeding. Hamster breeding is an art in itself since it is not an easy task to perform. At first it seems easy as one may think that it only requires a hamster male and a hamster female to do the job. However this is not the case in reality. One should be aware that genetic abnormalities may pass on to the next generation and hence one should prevent these from passing on. Genetic abnormalities can include the development of disease such as hamster diabetes and hamster glaucoma in later life. Therefore a hamster breeder enthusiast should exclude mating hamsters with such traits to avoid them from coming up again in the future generations. 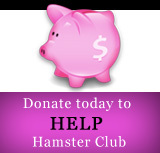 In fact, diabetes has become a common problem with dwarf winter white hamsters in Europe. Furthermore, breeding enthusiasts should aim as much as possible to mix genetic chromosomes from different families to extend the genetic make up of the baby hamsters. It is not recommended to breed sister and brother as this increases the likelihood of disease. When one mates the same generation of sisters and brothers, there is no introduction of new genes and therefore disease is less likely to be masked. On the other hand, breeding is not the same with all hamsters. Different varieties of hamsters require different approaches for breeding. The male should only be introduced to the female when the female is �in heat� i.e. wants to mate. The female will be willing to mate every 4 days (if she isn�t pregnant). This is quite a difficult task as Syrian hamsters are independent hamsters and hence the male should not always be left with the female as fights will be likely to result. The male should not be allowed with the female when she gives birth to the babies as the male will kill and eat the baby hamsters. In this case, breeding is easier as couples can be established and remain this way throughout their life. The male is likely to help the female with the upbringing of the pups but some breeders may prefer to remove the male to avoid any disappointments or other mating. These hamsters are the most difficult to breed in the case of dwarf hamsters as they take a long time to breed (after birth). However as soon as the cycle begins, it becomes rather easy. 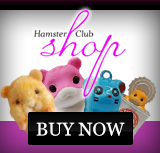 To enhance the genetic make up of hamsters, breeders around the world trade and buy hamsters from different families.